UFC 206 Max Holloway vs Anthony Pettis Fight Pick & Preview | MMA Fighting Events Videos Techniques UFC Fight Picks and News. The main event at UFC 206 is not the main event the UFC originally planned, but with the injury to Daniel Cormier, it is what we have now and the show must go on. 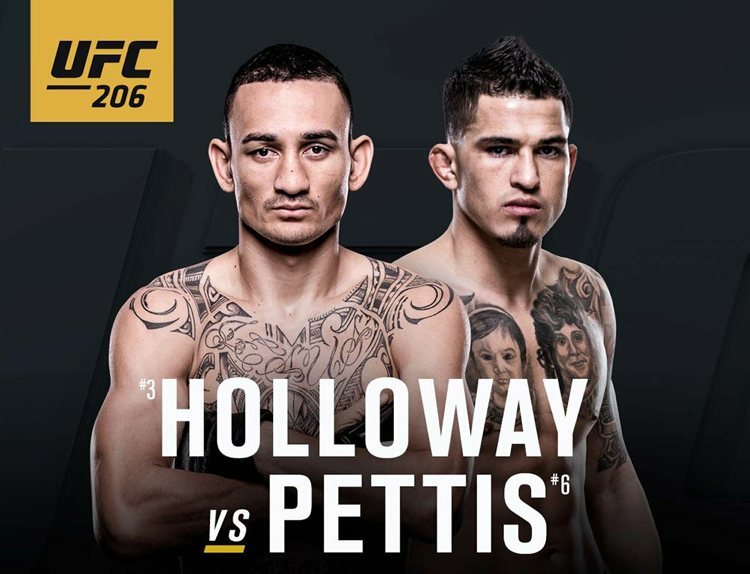 Anthony Pettis versus Max Holloway is now the main event and it’s an intriguing fight. Pettis is trying to regain some of the shine he lost in the 155 lbs division. This was set to be his second fight at 145 lbs, but he misses weight and now it’s going to be at a catch weight of 148 lbs. Max Holloway is in line to get a title shot at 145 lbs and Pettis is standing in his way. Let’s take a closer look at these fighters, and then I’ll make my official pick for UFC 206: Anthony Pettis vs Max Holloway. Anthony Pettis is coming into UFC 206 with an overall MMA record of 19-5. All but one of those fights have been in the 155 lbs division (lightweight). He’s held the title at UFC lightweight, but after three straight losses, it was time for a change. His first fight at 145 lbs (featherweight) was a complete success. He tapped out Charles Oliveira with a guillotine choke in the third round. Pettis has shown that he has a complete MMA toolbox. His stand up is excellent, it’s exciting and it produced some very nice finishes. Pettis isn’t a one trick pony though, he can finish fights on the ground and off his back as well. He won the UFC lightweight title with an armbar submission off his back. and he has 8 other submission victories on his resume. Pettis is a finisher! 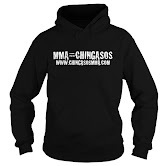 Along with the 8 submission victories, he also has 7 KO/TKO’s. His chin has been durable. While he does have 5 losses on his record, they’ve all come via decision. Max Holloway is coming into UFC 206 with an overall record of 16-3 and he’s riding a 9 fight winning streak. Holloway has 6 KO/TKO’s on his record along with 2 submission wins. His last loss was way back in 2013 to now double UFC title holder Conor McGregor. Holloway also has a good chin. He’s never been KO/TKO’ed. Two of his losses, including the loss to McGregor came via decision and his one submission loss was to Dustin Poireir in his 5th professional MMA fight. Holloway can stand and bang as his last fight with Ricardo Llamas showed. His takedown defense is excellent and while we haven’t seen too much ground work from him, he does have two submission victories. He’s shown a preference to the stand up game and his takedown defense allows for that to play out. But, will that be a good idea with a versatile striker like Pettis? Standing and banging with a heavier opponent is usually not a good idea, especially when that heavier opponent has a versatile striking game and a proven chin. Holloway is in for a tough night! He won’t be able to trade with Pettis, and on the ground, Pettis will also have the advantage. For Holloway to have a chance at coming out of that cage with the victory, he’s going to have to bring his A+ game and hope that Pettis is still recovering from a bad weight cut. Fighters that miss weight usually have a rough time during the fight. It could be a mental issue knowing that they missed weight, or, it could be a physical issue where they are still drained from attempting to make weight. While that’s usually the case, Pettis is a veteran and he’s fought some of the best fighters in MMA under the most stressful of situations, title fights! Look for Pettis to be his old self in that cage at UFC 206 and pick Holloway apart. Pettis hits harder, has a better ground game and will be the heavier opponent. Holloway will not be able to overcome all of those obstacles.